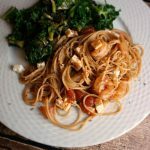 This Greek shrimp pasta with tomatoes and feta tastes delicious but is quick and easy to throw together. It’s one of David’s favorites because it is so flavorful and filling! I swore I’ve shared this recipe before but I can’t find it, so I’m correcting that right here, right now. It’s such a simple recipe that is packed full of flavor! I suggest adding it to your menu next week because… yum. 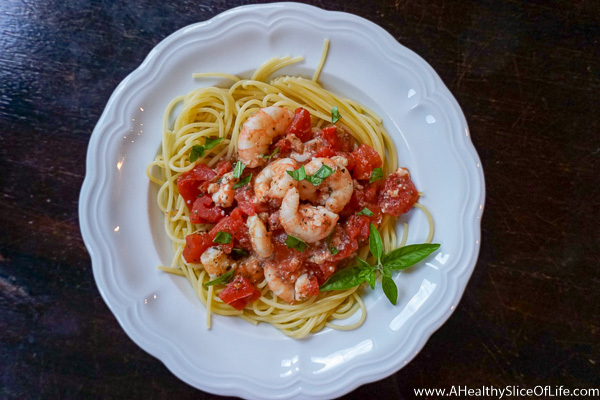 This Greek shrimp pasta with tomatoes and feta tastes delicious but is quick and easy to throw together. Put on large pot of water to boil and cook pasta according to package directions. Meanwhile heat olive oil in a large skillet over medium heat. Add garlic, herbs and red pepper flakes and saute until fragrant, about 3-4 minutes, stirring constantly as to not burn the garlic. Add in shrimp and saute for 3-4 minutes, until cooked through. Add tomatoes and bring to a simmer simmer, then switch heat to low. Drain the spaghetti and add it into the skillet with the tomato and shrimp mixture. Add feta cheese and mix well. Serve immediately, garnished with fresh basil if desired. 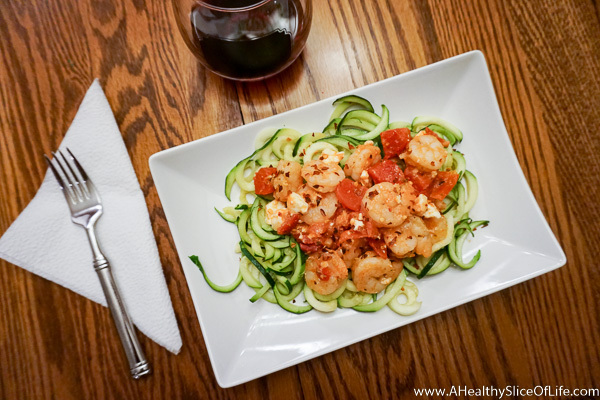 It also works beautifully over zoodles! your family is so beautiful! What a great family photo. I’ve been loving March madness, the promise of spring and sushi! That’s such a great family photo! I’m so curious to try the new Love Grown cereal! I think I saw that they have a chocolate flavor!? BEAUTIFUL portrait. I’m waiting until Sutton sits up better before we take one! Love my Love Grown Honey O’s! LOVE that family picture! Beautiful! Wow, that portrait came out great! The kids are even looking at the camera and smiling and, well, you look like the perfect family 🙂 I’m sure your children will cherish that photo when they’re adults, as well. 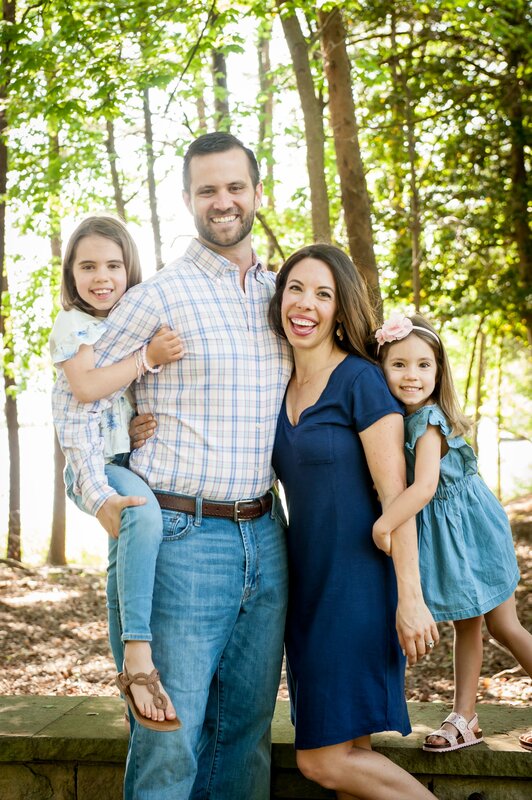 Friday favorites: Family is coming in for the weekend and my little biscuit is going to meet two of her cousins for the first time! One of them is 15 months old, so I’m sure my little one will get a kick out of him. I LOVE your family picture!!! Way to go! I have to get moving on scheduling a family photo!! I want a few family group shots with Baby O before she turns one because they change so much in that first year. I have been loving the amazing weather we’ve been having in Colorado. It’s really been helping with getting outside and getting my exercise on! What a great family photo! I need to find a good photographer for when baby #2 arrives. I’ll check out Ashley’s work. And yes, sometimes you’ve just gotta bite the bullet… errr, brownie… and live a little. Happy Friday! I’m loving Oatmeal with Banana and Peanut Butter for breakfasts – My bubbly 5 month old son – Crockpot Dinners – the idea of painting my living room/dining room/ kitchen, just need to decide on a color! – and it’s FRIDAY! Hooray! Your family photo is so gorgeous!! I am HIGHLY impressed with your family portrait. Everyone looking and smiling? (Including the BABY?) Amazing. Also thanks for the recipe, I love anything with feta and tomatoes! Love your family photos! They turned out beautiful! 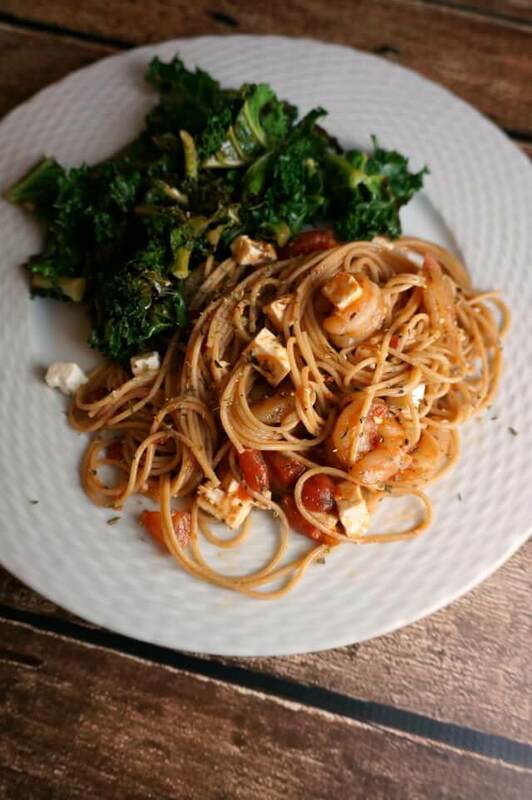 And that Greek Shrimp Pasta?! YUM! Your hair looks great!! I honestly think that is one of the best family photos I have ever seen. Everyone looks SO good! LOVE the family picture. Your hair looks great and everyone is smiling!! Enlarge and print that sucker!! Great family picture! I also love fall as my most favorite season, but I sweat every time a new season comes around (even though the change is not as apparent here in Northern California), I love that new season. Have a great weekend! I am a mug hoarder, an dI want that mug! So adorable! But what tops that adorable-ness? Your family picture. Everyone smiling, and Koda being well behaved- cannot get much better than that! We are having fabulous Spring weather here in California too and I am loving it! Afternoons spent outside or at the park are the best! That pasta dish looks delicious! I love how quick and easy it sounds. Kristine @ Kristine’s Kitchen recently posted..28 Citrus Recipes for Spring! What a beautiful family picture!! Shari recently posted..A Confessionary Tale, Part 2. I’ve added this recipe on my meal plan this week, can’t wait to try it!